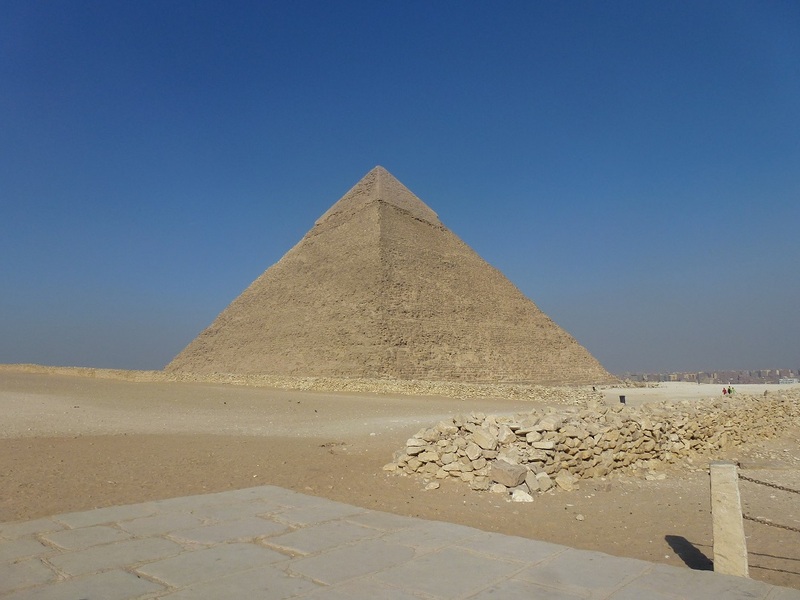 So I recently made the trip to Cairo, as seeing the pyramids of Giza – the last wonder of the world – was a must do on the bucket list. reservations. I couldn’t quite put my finger on what was of concern, as the revolution happened in 2011, protests have since died down, and there was no particular terrorism threat in the region. However, the combination of the assumed political unrest and the odd reports of terror threats in North Africa in general made me uneasy. It also didn’t help that if you look online, there were often warnings on the government travel advice website. While Cairo was deemed safe to travel, it seemed every area around it, particularly Sinai, was not. I wasn’t alone in this worry. When I told family and friends we were holidaying in Egypt, it was met with a pause, following questions of whether it was safe. This reservation was echoed by all. Egypt has seen its tourism plummet since the revolution. Four years on, tourism is one third of what it was pre-2011. Of course, as with many foreign destinations, caution is key. However a sprinkle of common sense also helps. For example, the terror alert in London is as high as that of Tunisia. However, that doesn’t stop me getting on the tube along with every other Londoner. The same applies with any travel… planes are safer than driving up the motorway, pick pocketing is something to look out for, and as for terrorattacks… sadly we just don’t know if and when they’ll happen. So after reading a few reassuring posts on Trip Advisor, as well as closely monitoring reports on Cairo, I decided that the pyramids of Giza were worth a visit. I booked an excursion from Sharm el Sheikh, and was pleased to see that many people had the same idea (it did cross my mind that we might be the only tourists going). We were picked up from our hotel, which was one of many pick up stops en route to the airport. 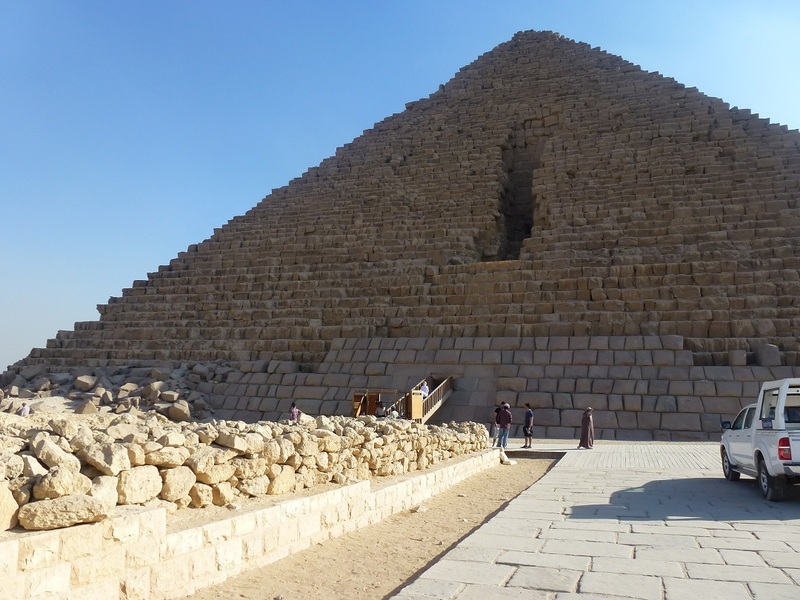 When we arrived in Sharm El Sheikh airport, our driver gathered us with another group of people, mostly British, who were also visiting Cairo and the Pyramids of Giza. We all took the one hour flight together and were pleased to see our English speaking tour guide on the other side. A woman named Zainab was our guide for the day. Her English was perfect, she’d been doing tours for fourteen years and really put us at ease. Whilst on the crazy busy journey from Cairo airport to Giza (the driving in Cairo is the only hazard I’d warn of), Zainab talked us through the recent history of Cairo, including the recent revolution. It was interesting to get a local perspective on the issue, rather than the select sound-bytes we’re shown in the media. 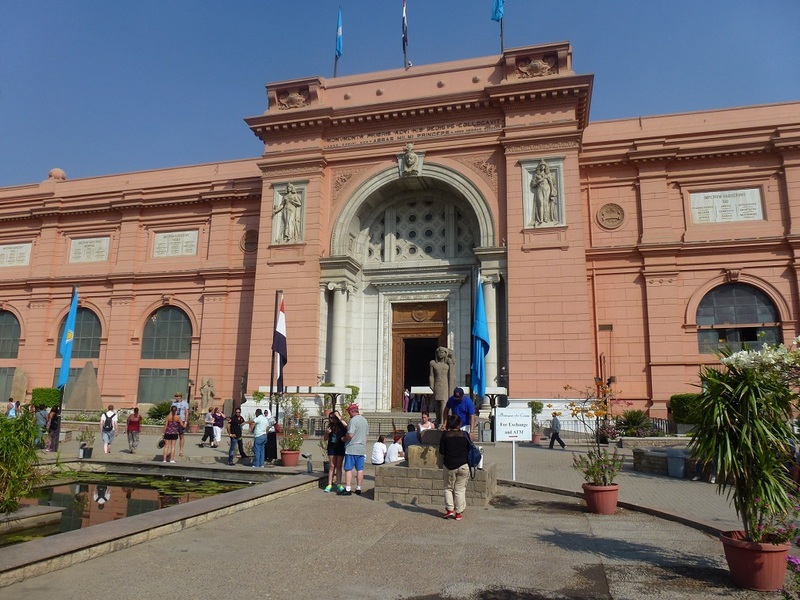 Our first stop was the museum, which showcased an actual mummy, as well as some tombs and ancient artefacts. I was disappointed to see that there wasn’t anything related to Cleopatra, but I was informed by Zainab that she was actually of Greek origin and reigned much later than the most famous ruler, King Tutankhamun (it would have been wise to read up a bit more beforehand). Instead we were regaled with stories of Queen Nefertiti and the boy king. Photos weren’t permitted in the museum, but we were allowed to take some exterior shots. Our tour guide Zainab made sure we had enough time alone to explore the museum, whilst also giving a guided tour at the beginning. 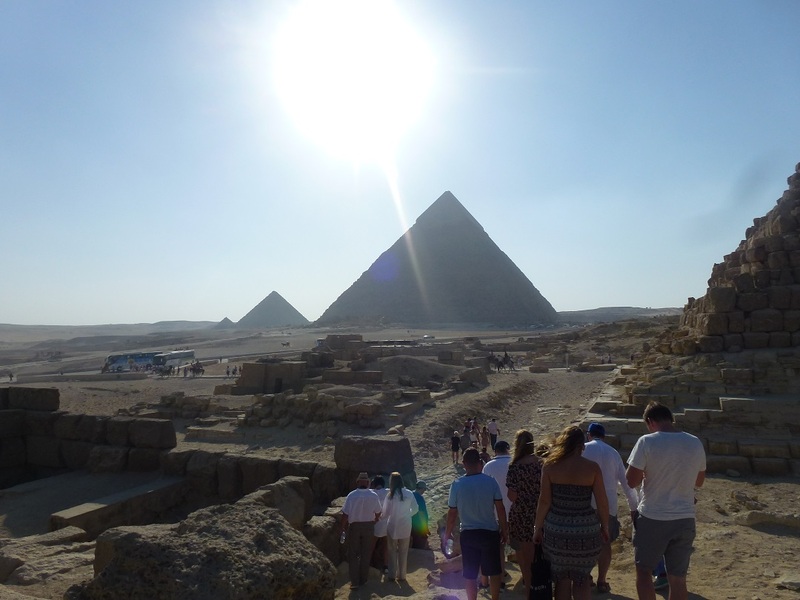 Unlike some other holiday excursions such as our trip to the Sahara desert in Morocco, where we were faced with costs for ‘extras’, there were no hidden surprises on the Pyramids day out. Of course, like any good tour, we were taken to shops – a government-run papyrus shop, a perfumery and a cotton store respectively. But there was no hard sell. In fact, Zainab did well to warn us about the tips we may need to give if we let people take our photo, and the general etiquette when haggling. overlooking the fabled river Nile. 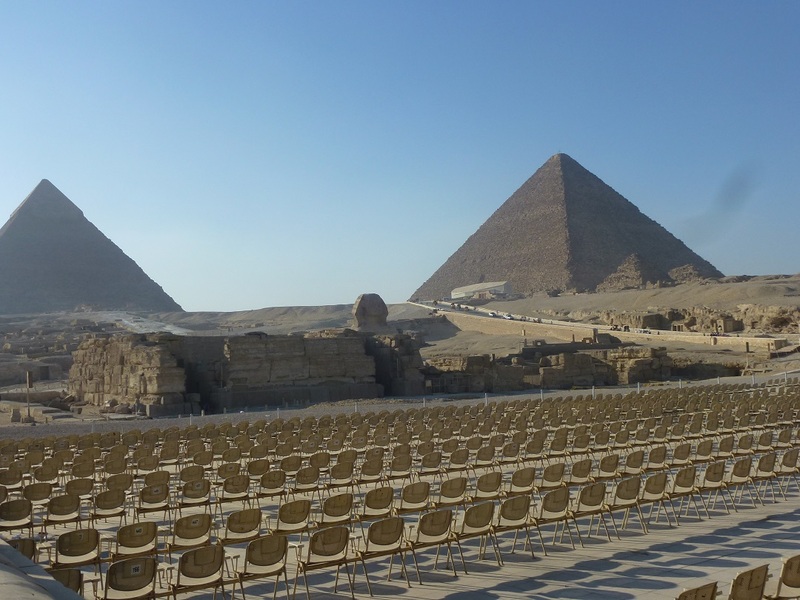 After this, our next stop was the main event, the pyramids of Giza themselves. The three pyramids were a sight to take in. The sheer size and magnitude really does need to be appreciated in person, as no picture can really serve justice, though I did try my best with some candid snaps. We were warned beforehand by Zainab about the aggressive vendors trying to flog their souvenirs, though of course she was erring on the side of caution as they were no worse than any other country I’ve visited in Asia or Africa. We bought a few bits and pieces from the many men selling miniature pyramids, sphinx, magnets, and the like. The good news for tourists is that due to the drop in business, salesmen are prepared to sell their wares for next to nothing, so it’s hard not to buy anything in a bid to support their economy. Also duly heeded advice was about the fake ‘security’ men pretending to be officials asking to see our ticket, Zainab warned us about this too, and just as well as we were approached by one such man trying his luck once we arrived. 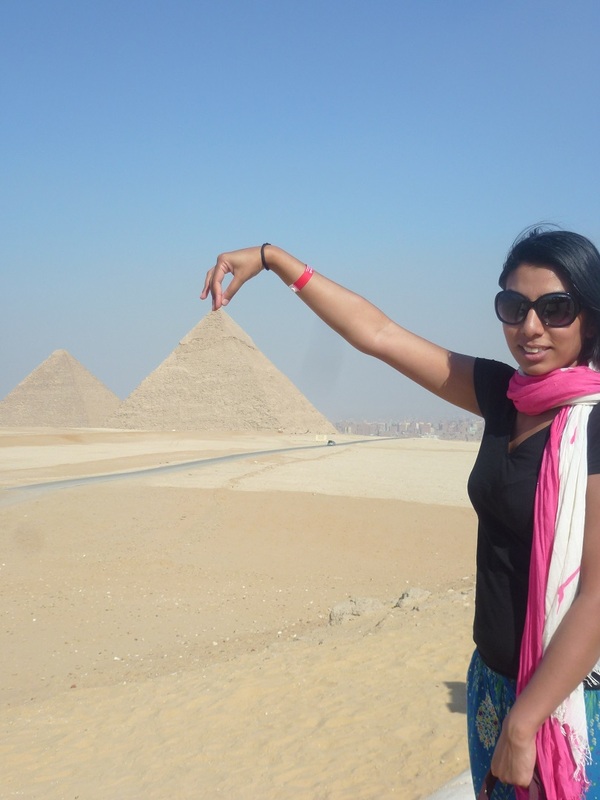 As the pyramids of Giza are quite far apart, we were driven to each one, with enough time for photo opportunities. We were even able to go inside the tomb, with the smaller pyramid free to enter, and the larger one coming with an entrance fee. I entered the smaller one, as most people advised that there is nothing to see inside the tomb, and it’s too hot and humid to stay inside for long. The advice was correct. We had to stoop our way down some narrow makeshift stairs to enter the pyramid. Inside, it was hot, sticky, and claustrophobic. In fact it kind of blew my expectation, as I thought that the pyramid would be huge inside. So I would advise anyone visiting the pyramids of Giza to just stick to seeing the inside of the smaller free tomb. Overall the view of the pyramids was breath-taking, and it’s amazing that such a feat of architecture took place so many years ago. 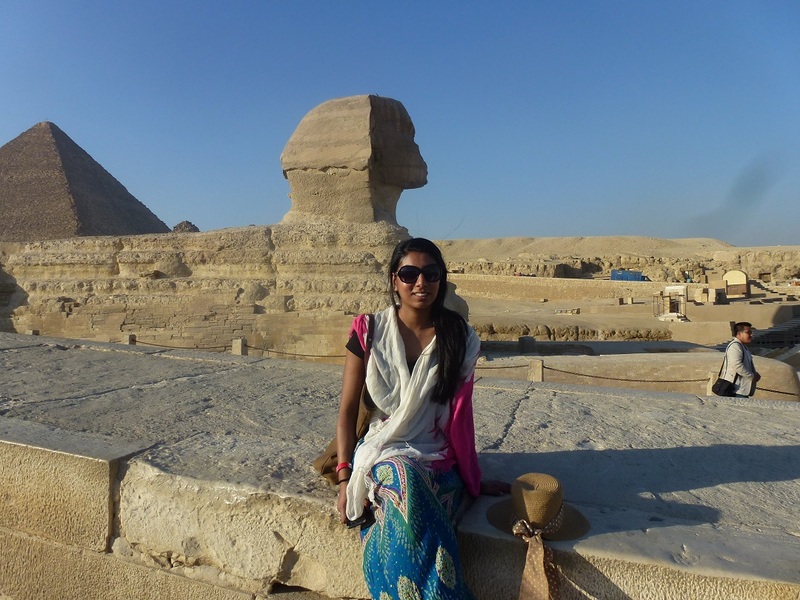 There was one final sight to see in our trip to Cairo, and that was the Sphinx. I’ve grown up seeing pictures of the Sphinx, but nothing compared to seeing it in real life. Sitting proudly in the desert, the mythical creature with a lion’s body and human head is an amazing sight. This was the one part of the desert however, that has been slightly over commercialised. Audiences were invited to sit in front of the Sphinx in a cinema-style outdoor auditorium, while a light show takes place in the evening. However, it is totally understandable that a struggling economy would do what it can to bring in extra revenue. And that takes me to my final point. The vast majority of people in Egypt are poor, but lovely, friendly and welcoming. 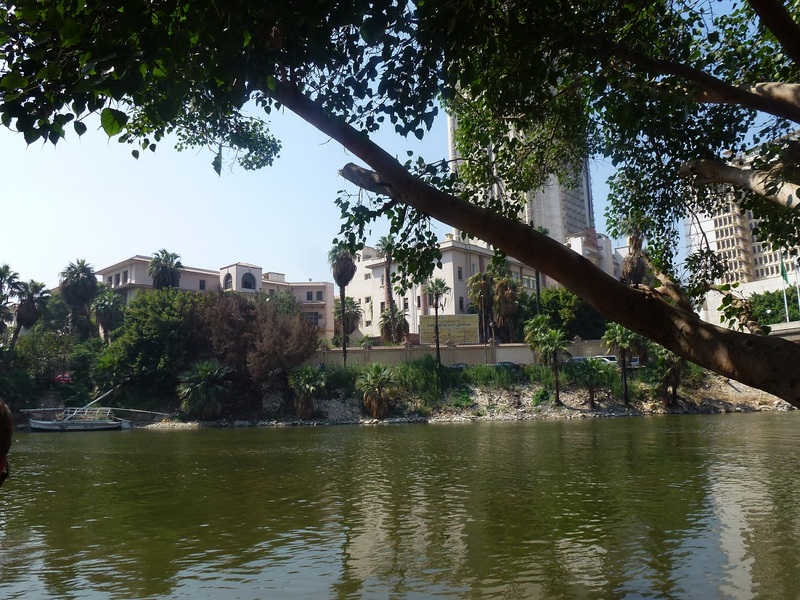 I felt safe throughout my whole excursion, and any reservations I had were quashed once in Cairo. Tourism was a huge source of income for the country. But with recent events, that looks to be damaged even further. The real victims of course of all of this are the men on the street who sell pyramids, who are now touting to a much smaller audience. Of course people will now be even more reluctant to visit Cairo. I was just the same, which is why I’m glad I went when I did, as I got to see the last wonder of the world. I can only hope that things in Cairo and the rest of Egypt get better for the sake of the locals, as well as those of us who haven’t yet experienced the amazing pyramids of Giza.